At 19 weeks of pregnancy you may start to feel dizzy or lightheaded, this is a very common symptom of being pregnant. 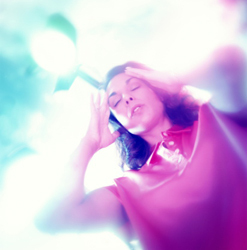 One of the main causes of this dizziness can be a result of low blood pressure. It can cause you to feel sick and faint very suddenly. Low blood pressure can be caused by a sudden change in position, for example from sitting to standing too fast. You can also feel lightheaded if you have been lying on your back for quite some time. This is the result of the slowing of blood circulation around the body and is referred to as supine hypotension. As mentioned previously in the week by week pregnancy guide, if at any stage you are feeling sick, dizzy or lightheaded you should lay on your left side to relieve the pressure on the large vessels, helping to return blood flow to your heart. To maintain your blood pressure at a reasonable level throughout the day ensure you are not skipping meals and rather than having 3 large meals a day try several smaller meals to keep your blood sugar levels normal. You may be feeling some discomfort at this stage of pregnancy as your body expands and you increase in size. Your uterus will be just below your belly button at 19 weeks pregnant and will grow about a centimetre a week on average. As a result of your increased size your center of gravity is off. It is not uncommon to feel off balance or have difficulty walking up or down steep inclines due to this change in your center of gravity. Round ligament pain is a common complaint during pregnancy and is caused by your uterus expanding in size and weight. The ligaments that hold your uterus in place (round ligaments) have to stretch and become longer and thinner when pregnant to accommodate this little human. This stretching causes the nearby nerve fibres to become irritated and cause pain. You may be thinking that everything about pregnancy is pain and discomfort, but are you feeling your baby move yet? If you are, you will understand how amazing and worthwhile pregnancy is and what a unique life experience it is to have this person growing inside you! Your baby’s growth rate will begin to slow now after 19 weeks of rapid development. Bub will continue to put on weight and will mature, building up the body’s defence systems. Your baby will have its very own immune system which helps to protect against infections. As your baby grows so does the skin on his/her body and despite it being red and wrinkled due to the lack of fat underneath, your baby will begin to get plumper over the weeks to come. Nine months is a long time to be covered in fluid, you baby’s sebaceous glands are now active and produce vernix. Vernix is a waxy, greasy substance that covers your baby’s skin and helps to protect it from the time spent in the amniotic fluid. While your baby grows physically, mentally the brain is forming to develop your baby’s senses: smell, taste, hearing, vision and touch. Your baby can taste the difference between sweet and bitter, hear the sound of your blood flowing through the blood vessels in your body and even respond to touch on your abdomen. If you touch your tummy your baby will move in response to the pressure! We are growing little athletes as the nerve fibres become connected and muscles develop, your baby grows stronger and all movements are much more coordinated. Your baby will constantly stretch, kick and turn within you, building up muscles to help improve motor ability and strengthen their bones.